Tooth whitening has really taken off in Provo. It has become a popular dental procedure and can provide excellent results if done properly. It is a good idea to consult with your dentist before getting tooth whitening, regardless of whether you choose to use an over-the-counter product. Your dentist will be able to help you understand the results you can expect, and can help recommend a product that will work for you. There are many variables when it comes to tooth whitening. The color of your teeth at the beginning of your treatment will make a difference for your ending result. Different tooth whitening treatments will each produce a different result. Your Provo cosmetic dentist has experience with tooth coloration and the types of treatments available. In many cases, your Provo dentist will be able to provide you with a tooth whitening solution that you can take home with you. 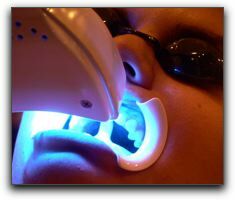 In some cases, your Provo dentist may recommend a professional treatment that is done at the dentist’s office such as Zoom whitening. 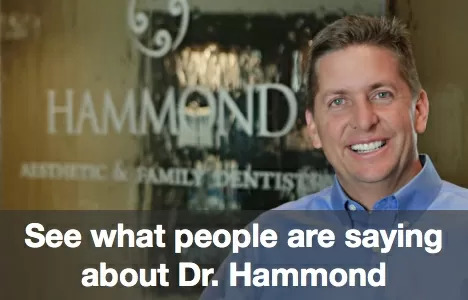 If you are interested in a tooth whitening consultation in the Provo area, please call Hammond Aesthetic & General Dentistry and make an appointment to see me. We will be happy to give you a check up, assess your tooth color, and recommend teeth whitening treatments that may be right for you.